Two Saturdays ago we took a trip to Academy for running shoes (for Rob) and a ballet skirt (for Nina). 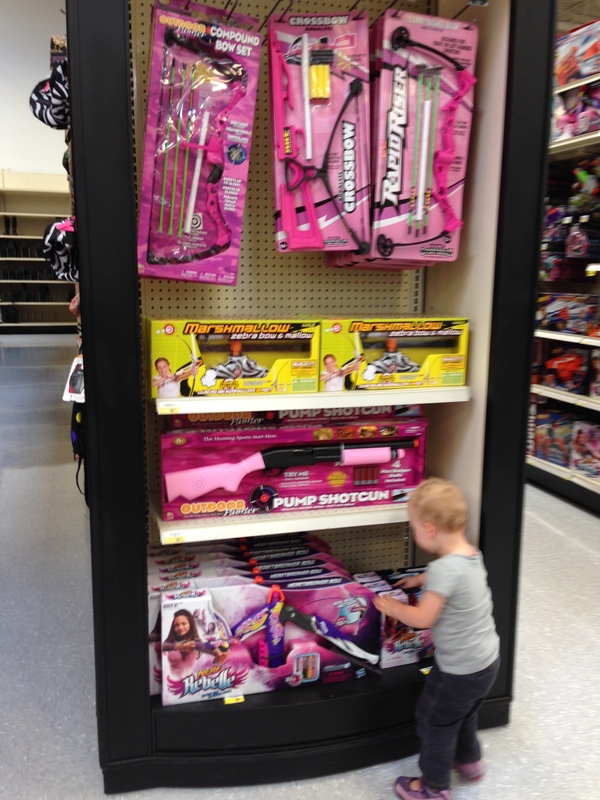 Ione made a bee line for the pink crossbows and rifles. I rushed to my phone to share, but realized this might only be disconcerting to me. Always room to be surprised at new target markets my children are. We didn’t buy the crossbow or the rifle, but is there a productive question or thought provoking activity to begin the critical analysis of gendered norms with a 2 year old? What would you do? Say?